We the team of “ASHOK ELECTRICAL” are obliged to introduce to you yet another finest product, our Ferro Resonant type Constant Voltage Transformers - CVT, the AC mains power the input winding, which is widely separated physically from the isolated output winding. The input winding normally runs at very moderate Flux linkage levels. The output winding exhibits an intrinsic energy characteristic and this energy storage operate in conjunction with mains capacitor to produce self-generated AC flux Field which is indirectly extracted from the Input Winding. 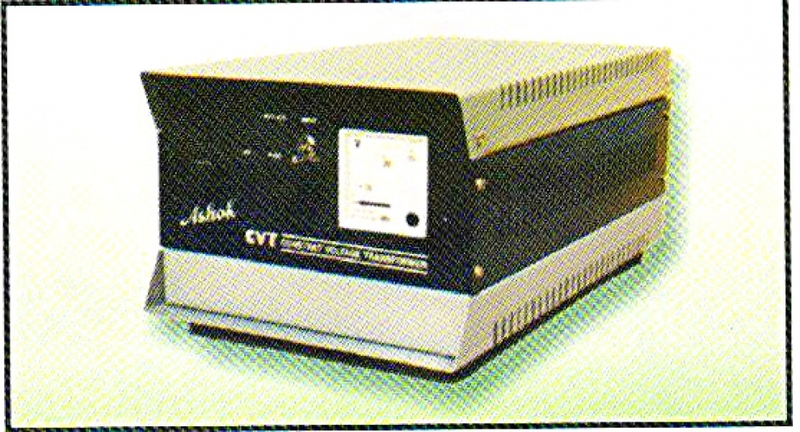 These Constant Voltage transformer or CVT use a tank circuit composed of a high-voltage resonant winding and a capacitor to produce a nearly constant average output with a varying input. The ferro resonant approach is attractive due to its lack of active components, relying on the square loop saturation characteristics of the tank circuit to absorb variations in average input voltage. The ferro resonant action is a flux limiter rather than a voltage regulator, but with a fixed supply frequency it can maintain an almost constant average output voltage even as the input voltage varies widely. All problems related to variation / fluctuation in Voltages are effectively handled because of this principle and a constant voltage output of ± 1% is given. © 2019 Ashok Electricals, All rights reserved.